A last minute gift? A birthday or anniversary coming up? 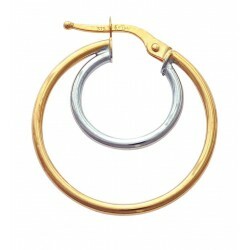 Poemana has selected and regrouped jewelry that can be shipped rapidly. The parcels can arrive within 48 hours in the EU. Order before noon on a weekday and it will be shipped that same afternoon, along with a jewelry box and a certificate of authenticity. 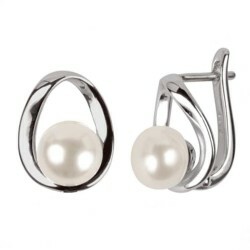 Sterling silver ear studs with freshwater button shaped cultured pearls. Authentic pearls on simple and affordable sterling silver ear studs. Button shaped freshwater cultured pearls, white or pink overtone. Freshwater pearls size 8-8.5 mm and AA+ quality All our jewelry is delivered in an individual jewelry box along with a GIA authenticity certificate. Romance Sterling silver ear studs with freshwater white cultured pearls.Wear these authentic pearls on simple and affordable silver ear studs.Round freshwater cultured pearls, white nuance available in 5-6mm , 6-7mm or 7-8mm AA+ qualityAll of our jewelry comes in an individual jewelry box along with a GIA authenticity certificate. 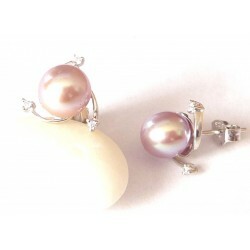 Sterling silver earrings with white freshwater cultured pearls mounted in cabochon. 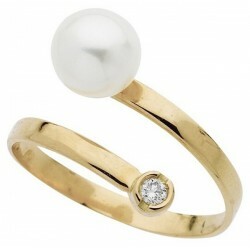 White, button-shaped freshwater cultured pearls, 7,5-8 mm in diameter and of AA quality. Silver weight : 4,05 g All of our jewelry comes in an individual jewelry box along with a GIA authenticity certificate. 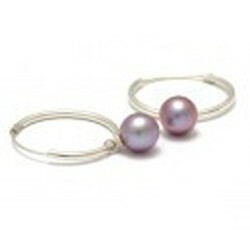 Cristina Sterling silver hoop earrings with white or mauve freshwater cultured pearls. Round freshwater cultured pearls, 7.5-8mm AA+/AAA qualityAll our jewelry comes in an individual jewelry box along with a GIA authenticity certificate. 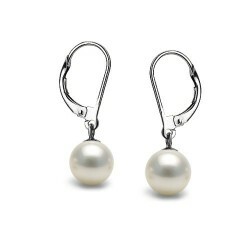 Bella Sterling silver earrings with freshwater white cultured pearls.Stylish and modern, this hanging hoop silver earrings have clasps to keep them in place.Freshwater cultured pearl, white nuance 7-7.5mm AA+ qualityAll of our jewelry comes in an individual jewelry box along with a GIA authenticity certificate. Angel Sterling silver freshwater white cultured pearl with zircons.The silver ovals encrusted in zircons perfectly complement the drop-shaped white cultured pearls on the ends.Drop shaped freshwater cultured pearls, white nuance 7-7.5mm AA+ quality.All our jewelry comes in an individual jewelry box along with a GIA authenticity certificate. Luce white cultured pearl Sterling silver earrings.Two beautiful cultured pearls on silver hook earrings.Round freshwater cultured pearls, white nuance 8mm AA qualityAll our jewelry comes in an individual jewelry box along with a GIA authenticity certificate. 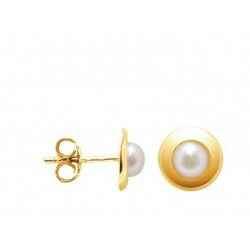 Capri 18 carats gold stud earrings with white cultured pearl. An 18 carats gold disk fitted with semi round freshwater pearls.Semi round freshwater cultured pearls, 4mm AA+/AAA qualityGold weight : 0.70gButterfly backAll our jewelry comes in an individual jewelry box along with a GIA authenticity certificate. 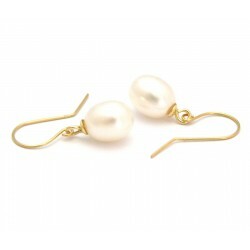 18 carats gold ear studs with freshwater cultured pearls. 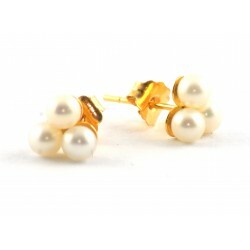 Gold ear studs with naturally white round pearls of 3 mm. Round freshwater cultured pearls white overtone AA+ quality Gold weight : 0.30g All our jewelry comes in an individual jewelry box along with a GIA authenticity certificate. 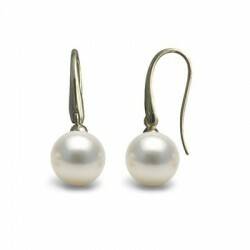 Anna Sterling silver earrings with Tahitian cultured pearl. 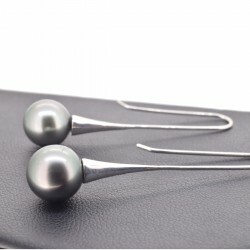 A modern pair of earrings with the ever beautiful tahitian pearls.Pear shaped Tahitian pearl, 7-8mm AA+ quality All our jewelry comes in an individual jewelry box along with a GIA authenticity certificate. 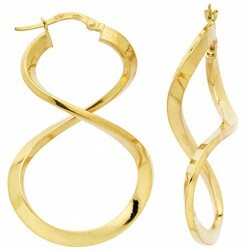 Guyana 18k gold earrings with freshwater cultured pearls. 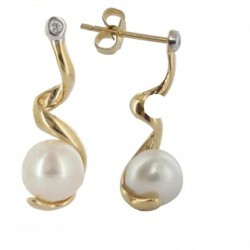 A minimalist style pair of earrings in 18k gold with white cultured pearls. White cultured freshwater pearls ,oval shape , 6,5-7 mmAll of our jewelry comes in an individual jewelry box along with a GIA authenticity certificate. Sterling silver hanging earrings with Tahitian pearlsA classical mix of Sterling silver with round Tahitian cultured pearls.Beauty from simplicity.9-10mm round Tahitian cultured pearls AA+ qualityAll our jewelry comes in an individual jewelry box along with a GIA authenticity certificate. Coeurs Sterling silver earrings with two Tahitian pearls. "Coeurs" means "Hearts" in French.These casual earrings are 5cm in length, pearls included.Round Tahitian cultured pearls, 8.5-9mm AA+ qualityAll our jewelry comes in an individual jewelry box along with a GIA authenticity certificate. 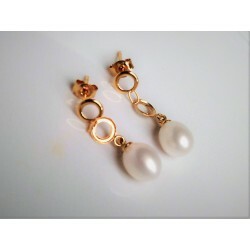 Saphy 18 carats gold earrings with white freshwater cultured pearls. 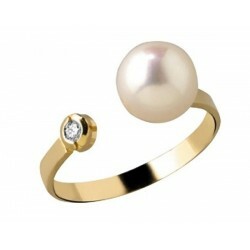 Round freshwater cultured pearl, 8mm AA+ qualityGold weight : 1.65gAll our jewelry comes in an individual jewelry box along with a GIA authenticity certificate.